Open the main window of the application. For the guide on opening the application window, see this article. 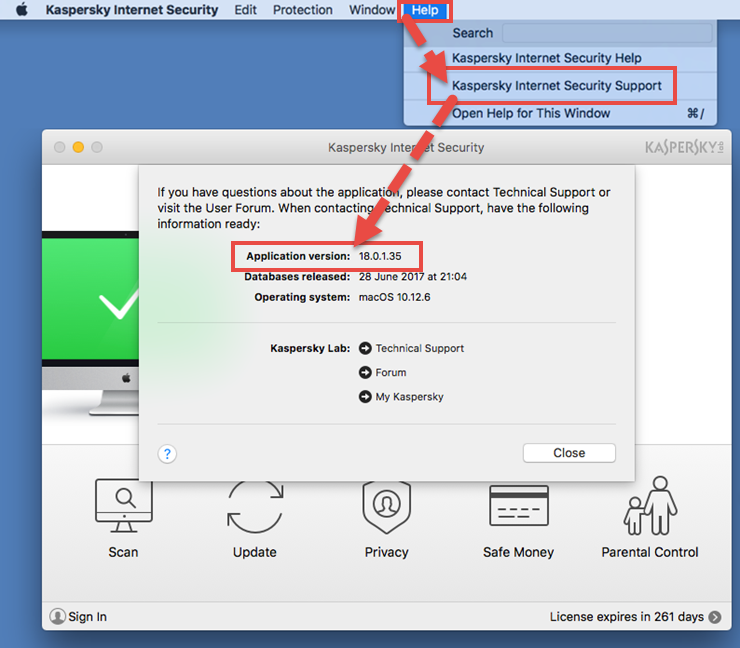 In the macOS menu, select Help → Kaspersky Internet Security Support. The information about the application version will be available in the window that opens.